Have you ever wondered if you are walking on the remains of creatures from long ago. 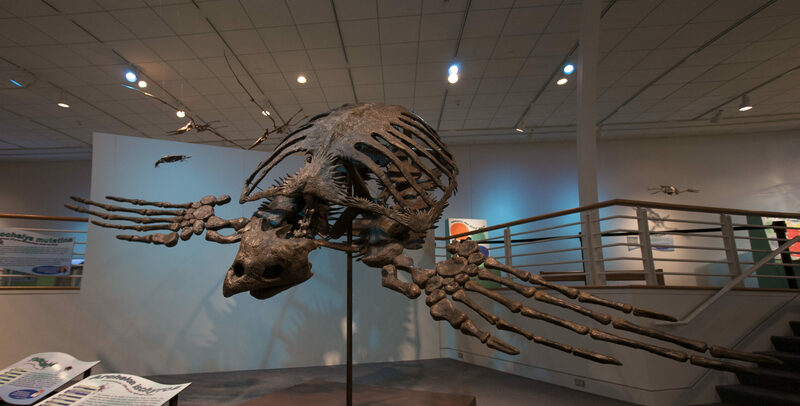 Join The Mariners’ Museum for Savage Saturdays as we search for evidence that ancient creatures roamed (or swam) where the Mariners’ Park is located today. This will be a down and dirty activity, so be sure to wear your best dirt digging, sand sifting, paleo-clothing. Savage Saturdays is free with admission to the Museum and free for Members.